BOISE – As open enrollment season shifts into high gear and everything health care-related seems to be in the spotlight, the state’s most expansive network of primary care physicians and Regence BlueShield of Idaho are announcing an agreement to extend the reach of a comprehensive care management and payment model. Community Health Center Network of Idaho, encompassing 72 clinics and care centers across 50 communities in Idaho, has become the newest and most geographically diverse physician group to sign up to become a Regence Total Cost of Care (TCC) partner. Regence’s TCC is an accountable care model that empowers physicians with highly detailed medical cost and quality information to help them improve outcomes for their patients. Regence offers aggregated data from the provider group’s patients and works with the groups to show them ways to offer the same or better quality of care at lower prices. This can be accomplished, for example, by seeing where patients go for after-hours medical care. By working with doctors to raise patient awareness about the use of urgent care centers and discouraging overuse of emergency rooms for routine medical care, significant savings can be achieved. Additionally, further savings can come from reviewing the cost differences between where services are rendered, and examining prescription practices, with an eye toward encouraging increased use of generic versus name-brand drugs. 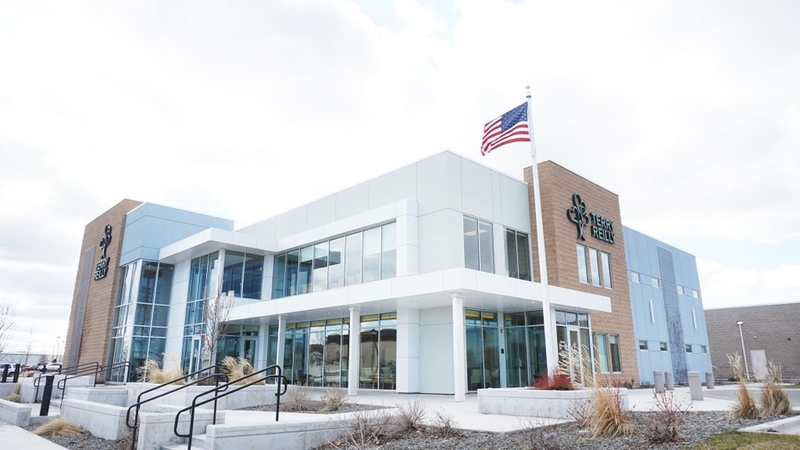 Community Health Center Network of Idaho has the distinction of being the newest physician group to join Regence’s family of TCC partners, but – as noted above – it joins three other leading groups that have been members for years. The first adopter of the Total Cost of Care program in Idaho was Valley Medical Center, which is now part of Catalyst Medical Group. The integrated practice comprises more than 68 physicians and mid-level providers, including nurse practitioners, physician’s assistants and certified nurse midwives serving residents throughout north central Idaho. Primary Health Medical Group and Portneuf Quality Alliance are other leading physician groups who partner with Regence on Total Cost of Care. Primary Health provides robust access to the residents of Ada and Canyon counties with 17 primary care offices, which also provide separate urgent care clinics. Portneuf Quality Alliance is a large physician organization based in the Pocatello area. Since 2013, Regence BlueShield of Idaho and its affiliated health plans have implemented over 50 value-based agreements – including the Total Cost of Care program – with providers across Idaho, Utah, Oregon and Washington. Regence BlueShield of Idaho, based in Lewiston, has been serving Idahoans for 71 years and now provides more than 142,000 members with comprehensive health insurance solutions. As a nonprofit mutual insurance company and independent licensee of the Blue Cross and Blue Shield Association, Regence is part of a family of companies dedicated to transforming health care by delivering innovative products and services that change the way consumers in Idaho and nationwide experience health care. For more information, please visit regence.com, facebook.com/regenceblueshieldofidaho or twitter.com/regenceidaho. Community Health Center Network of Idaho (CHCNI) was created to support and strengthen Idaho Federally Qualified Health Centers (FQHC) by bringing health centers together as a single organization. FQHCs collaborate with payers to balance the payer mix, raise visibility and credibility, increase coordination between health centers, strengthen their reputation as a hallmark of quality and cost efficiency/effectiveness and improve the health status of patients. For more information, please visit chcni.org.